The Future Shorts Monthly Film Screening at Edinburgh's Roxy Art House on Sunday 25th July 2010 attracted a full house. The eclectic mix was well received and ended with spontaneous applause. 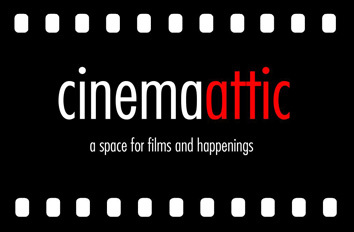 All the films screened are included here. Raffle winners won a meal for two at the Caley Sample Rooms and free membership of	the Alphabet Video Library. The organisers were Carlos Redondo of Cinema Attic and Melanie Sangwine Edinburgh representative of Future Shorts. The link below opens a suggestion page, no log in required. Gritty and lively, it set the tone for the evening. 2) The Archive (2008) Dir: Sean Dunne. A seven minute documentary about the largest record collection in the world. The "record man," Paul Mawhinney, holds up the first black record telling it was made in 1881. He admits he has no idea what it is worth. Paul goes on to candidly tell the story of how, over the decades, he amassed what is arguably the world's largest collection of vinyl records and how fewer than 17% of all records made between 1948 and 1966 have been redistributed as CDs. Brought to us by Very Ape Productions, the film can be viewed courtesy of Vimeo below. It is estimated that Paul has over one million LPs and one and a half million singles. Now approaching seventy one, Paul is looking for a buyer to take over and manager the collection, an ideal opportunity for the right organisation. Quote: "The world is dead out there, they have their ears closed and it's going to take them ten, fifteen or twenty years to wake up and realise what they missed. The music is a hundred times better on a vinyl album and I've had problems with this because they don't believe me." 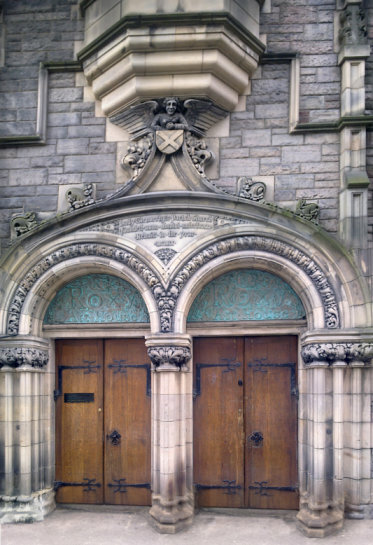 Although valued at over fifty million dollars his asking price is a snip at three million. The third film was a short, sharp, excellent comedy from Australia. Her news for him is that she is pregnant with twins, his news for her is slightly different. Rather than spoil it for you, catch the film below. Running time: four minutes twenty seconds. An innovative, futuristic ten minute animation featuring a rather difficult relationship between a cat and a mouse. Winner of the Golden Bear for Best Short at the Berlin Film Festival, the YouTube film released in January 2010 has had almost ninety thousand views. 5) Bathtub IV Dir Keith Loutit. A cleverly done piece set to the song, "Clementine" by Megan Washington which worked well. Only three and a half minutes long, it features tiny figures, ships, a helicopter and an oil rig (2008). A music video from the album, A Million Miles From Home. A girl runs away and discovers an alternative to cash machines but it ends in tragedy. The rapid pace and music make it an easy film to watch a second time, the narrative is conveyed visually. "SXSW 2010 WINNER" Best Music Video. He kills her; she kills him; he kills her; she kills him... great ending. "The official short film for Bob Dylan's song." (2009) Featuring Amanda Aardsma and Joel Stoffer. Good use of colour and contrast for mood and effect. Well edited and shot. Heavy impact, brutal, bloody - and funny. Superb use of the photographic medium. Nash Edgerton is an Australian filmmaker and stuntman. (2007) A moth flies around, a weird old record player gyrates as it plays. The lid of a box rises, many eyes look out. The record player fails, a valve needs to be replaced. An excellent piece of real, old fashioned, imaginative animation, very well done. Runs just under nine minutes, the You Tube version has had almost 85,000 views. A powerful short in which a hand-held camera follows a gang who rob, mug, assault, steal, trash, smash as they run & run. Set in Paris, it could be any city. At times it was unclear whether this was a set up or something filmed by a real gang. In the final scene a boy burns but no one seems to care; the cameraman is attacked, possibly killed. A fast paced, aggressive film shot to excellent music. Jus�ice, Stress from ROMAIN-GAVRAS on Vimeo. For all that this was a fiction-film excellently, professionally produced, directed and acted, nevertheless what we see here is a slice of reality. Running time: five minutes (almost). A young man is approached in a cafe by two acquaintances and offered a proposition: earn three thousand euros by being the getaway driver for a bank robbery. He rolls up in a beautiful classic car and explains he car-jacked it at the traffic lights. The film tells the story of different people and shows how their lives interconnect: a pickpocket chased by police, people in the bank at the time of the robbery, the true circumstances behind the getaway driver. A beautiful chain-of-events / interconnectedness film, a classic in its own right, well worth taking the trouble to see. The film earned spontaneous applause from the audience. A day in a life AVremix by bmtjk from boemtjak on Vimeo. 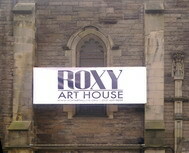 For more evenings of short films please keep an eye on the Roxy Art House and the Future Shorts websites. Please note that this reviewer has no personal connections with any of the films or film makers featured here.